You know the saying, 'if you can't say something nice, don't say anything at all'? Well, I'll keep this entry short. I'm already a bit miffed over the new arrangement surrounding character greetings, and the redundancy of the characters present. 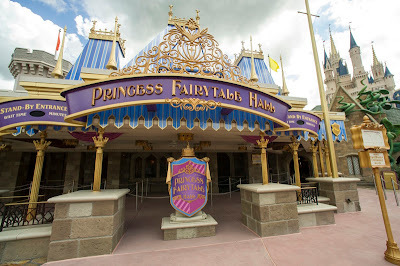 Taking away one of my favorite attractions to accommodate yet another place devoted to meeting Disney princesses is no way to endear Princess Fairytale Hall to me. Princess Fairytale Hall now occupies the space that housed Snow White’s Scary Adventures until May of 2012. 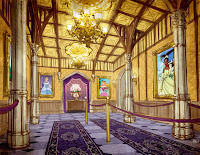 This is one of numerous places devoted to meeting the famed princess characters. 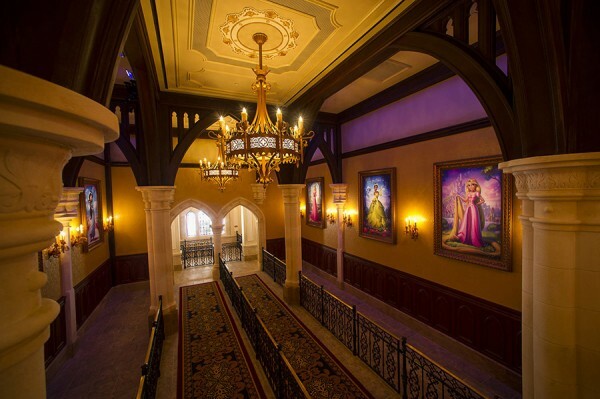 Guests can choose from two pathways, each with two princesses waiting to greet them. 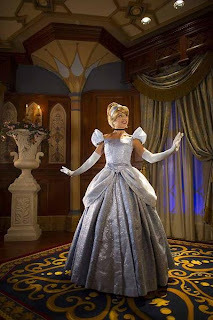 Cinderella and Rapunzel seem to be the two constants with their "guests" varied. Of course, you're welcome to go through both lines individually if this experience is vital to you or someone in your party. 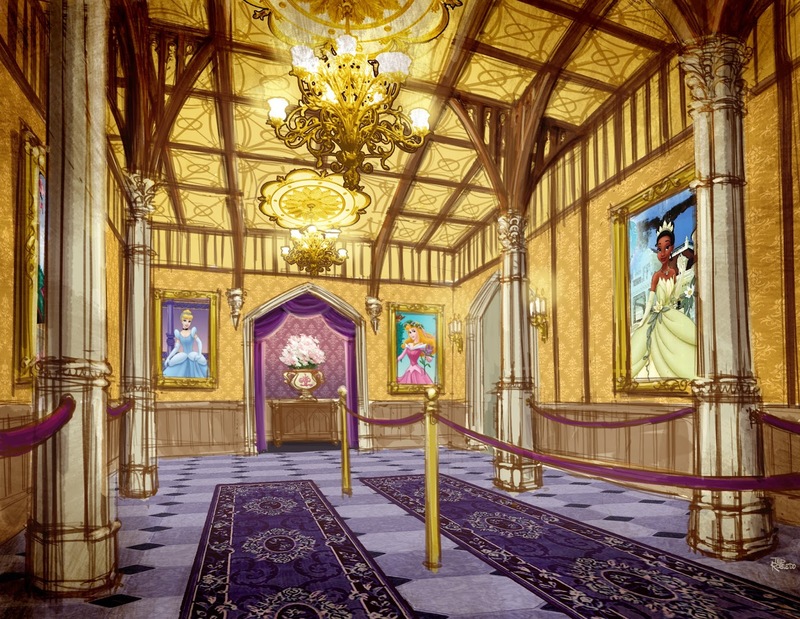 Though the 'Hall' is lovely, opulent and ornately themed (with stained glass windows, high ceilings, gorgeous portraits and familiar decorative memorabilia), I will always feel it better served Snow White specifically. 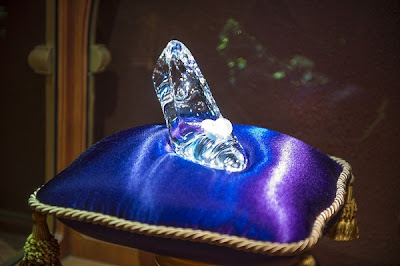 Call it bitterness, but I can't see the value in this attraction.